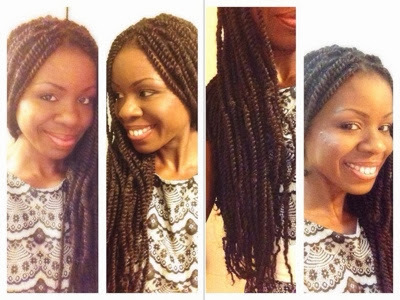 Remember these twists shown below? So, I kept that hair because that brand is the softest Marley hair that I ever used. Well, I decided to put it to use again in a different form. 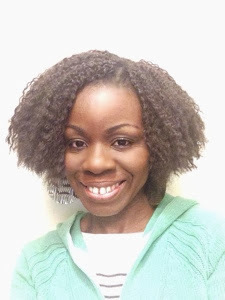 They make great crochet braids! They were so easy to install. It took me 6 .5 hours( I am getting better because my last one took me about 13 hours to complete. 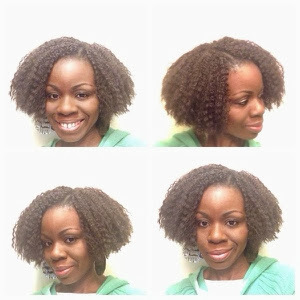 I did not do a detailed tutorial because I already have a video on crochet braids. But I did show, in the video I made, what size of hair I crocheted and how I got the texture and shape. I really don't know how I would maintain the extensions but my cornrows would be getting hydrated regularly. I do not plan on washing this hair until week 4 and plan on keeping the style for 6 weeks. Your hair looks really wonderful in your new style. In fact, it made my eyes pop out of my head.